Which console do you have? The Xbox 360 S console has built-in Wi-Fi. If you have a wireless network, you don’t need anything else. 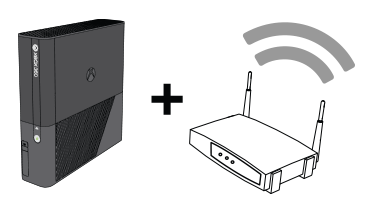 Note You can use an Xbox 360 Wireless Networking Adaptor with the Xbox 360 S console. If your wireless router is not near your console, you may get a better wireless signal by using a wireless networking adapter. When you connect an Xbox 360 Wireless Networking Adapter to an Xbox 360 S console, the console automatically uses the wireless adapter instead of the built-in Wi-Fi. For more information about the Xbox 360 Wireless N and G networking adapters, see How to connect an Xbox 360 Wireless Networking Adapter. Note If you do not see the name of your wireless network, select Advanced Options. Then, select Specify Unlisted Network and enter your wireless network name. Select your wireless security type: WEP, WPA, or WPA2. Or, select No Security if your network doesn’t have a password. This security type setting must match the security type of your wireless network. Note If wireless mode is not available and you’re using the black Wireless N Networking Adaptor, try using the software installation disc included with the adaptor. If you need help setting up your wireless connection for the first time, see the Xbox Live First-Time Connection Solution. If you've been able to connect wirelessly in the past but can't connect now, see the Xbox Live Connection Solution. To manually configure the wireless network settings for your Xbox 360 console, follow these steps. Warning Incorrectly-configured wireless network settings can negatively impact your console’s performance. We recommend that only network specialists follow these steps, and only in cases where your network requires manual configuration to connect to the Internet. In most cases, you will get the best results by using the automatic settings. From the Dashboard, go to settings, then select System. If you're prompted for your pass phrase or key, enter it and then select Done. After the Network Status test completes, select Continue and then select your wireless network. Select Configure Network. Now you can manually configure your IP settings, your DNS settings, your PPPoE settings, or your MAC address. See the steps below for the settings you want to configure. Under Edit IP Settings, select Manual. To manually set your IP address, select IP Address, enter the IP address, select Done, and then select Done. To manually set your subnet mask, select Subnet Mask, enter the subnet mask, select Done, and then select Done. To manually set your gateway, select Gateway, enter the gateway address, select Done, and then select Done. Under Edit DNS Settings, select Manual. Select Primary DNS Server, enter the primary DNS server address, then select Done. Select Secondary DNS Server, enter the secondary DNS server address, select Done, and then select Done. Under Configure Network, select the Additional Settings tab. Select User Name, enter the PPPoE user name, then select Done. Select Password, enter the PPPoE password, then select Done. Select Service Name, enter the PPPoE service name, select Done, and then select Done. Select Alternate Mac Address, enter the MAC address, select Done, and then select Done. Select Host Name, enter the host name, select Done, and then select Done. 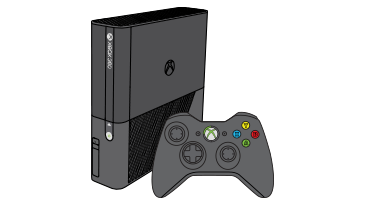 Would you like to contact Support regarding the "How to configure wireless network settings on your Xbox 360 console" issue you were reading about or a different issue?